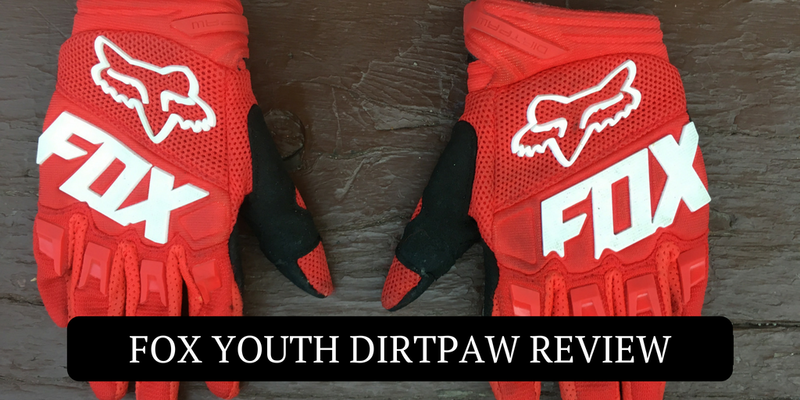 The Fox Youth Dirtpaw are high-quality, heavy-duty, full-finger mountain bike gloves for kids. If you are already familiar with the adult Dirtpaw gloves, you need read no further — these are the same great gloves in a smaller size. While they’re not cheap, the Fox Dirtpaw are guaranteed to last for more than one season even with heavy use and abuse. The palms of the Dirtpaw gloves offer a good amount of padding to help absorb vibration. Compared to a minimal glove like the 100% iTrack the gloves are downright cushy, though they do lack the over-the-top plushness of the ZippyRooz gloves. Most importantly, the material on the palm is thick meaning that they will do a good job of protecting your child in the event of a crash (and survive to be used another day). Thanks to the heavy-duty nature of the palms, these are the gloves we’ve been choosing on serious mountain bike days including a downhill day at the Whistler bike park. They’ve done a good job holding up after multiple crashes, and despite looking a little scuffed up, they are still in good shape. The entire glove has dual-layers of fabric. The palm has a synthetic-leather outer and neoprene inner layer, while the top of the hand has layers of nylon mesh and polyester. These multiple layers ensure that the glove has plenty of hand protection and durability, but also affects breathability While there is some airflow thanks to the mesh upper, these gloves are not your best bet for HOT weather riding. On the flip-side of the coin, they are great for shoulder season riding where temps might be cooler. In addition to the multi-layer fabric, the upper has knuckle guards to protect against branch strikes. The Fox Dirtpaw gloves offer a velcro closure, which can be a positive or negative depending on your child. For kids that like the fit of things to be “just right,” the velcro offers the ability to snug up the wrist. Compared to slip-on gloves, however, they take kids a bit longer to put on and take off, and young children may need some help. The Dirtpaw gloves are sized to fit grade-school aged children. My 5.5-year-old manages to wear the size S with some “room to grow.” If you are shopping for even smaller kids, check out the ZippyRooz or Woom gloves instead. They are similarly sized to the 100% iTrack gloves. Since my son is my tester, and his stuff is too small for me to personally test (sniff sniff), I always ask him what he likes or dislikes about a product before reviewing it. 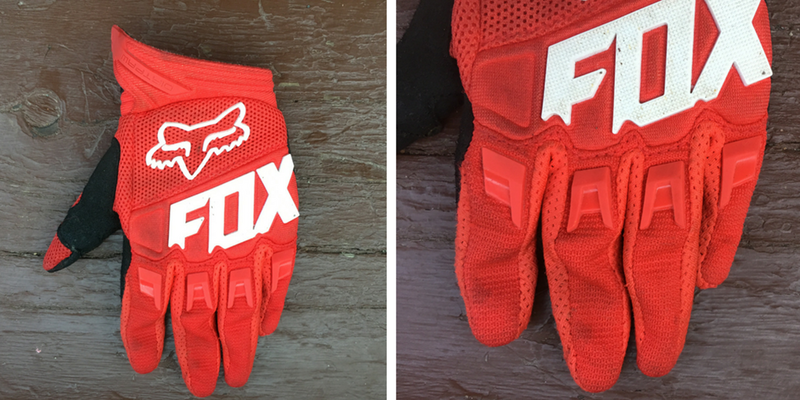 With the Fox Dirtpaw gloves, he just kept reiterating that they “look cool.” Indeed, this might be the biggest reason to buy the Fox gloves. 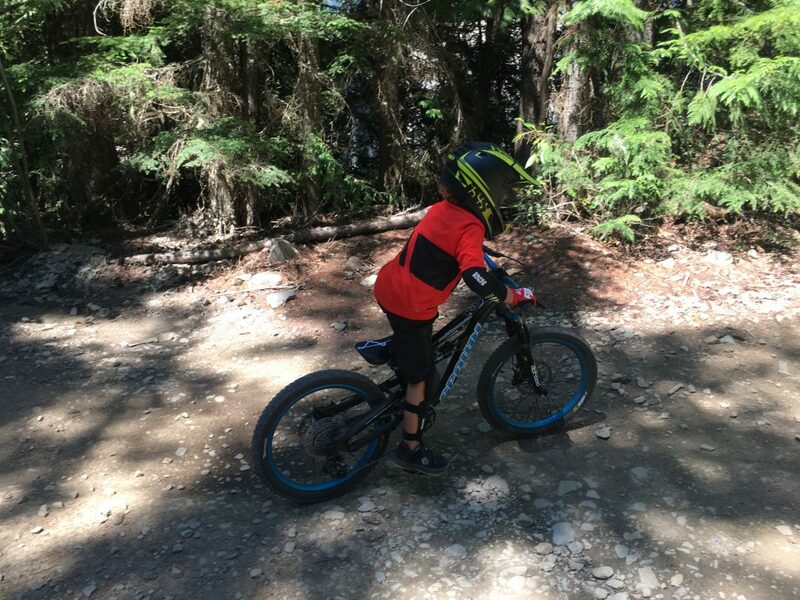 Kids love the way they look, they have the cool Fox logo on them, and they might just help motivate your kiddo to get out and ride with you more often. If mom or dad already have Dirtpaw gloves, then they can even match the grownups. The Fox Youth Dirtpaw gloves retail for $25 which makes them a bit more expensive than many kids full-finger bike gloves such as the Woom or ZippyRooz gloves. That said, they are on par with other heavy duty gloves such as the 100% Airmatic ($25). If you’re looking for cheap, you can certainly find cheaper but not for the same quality. 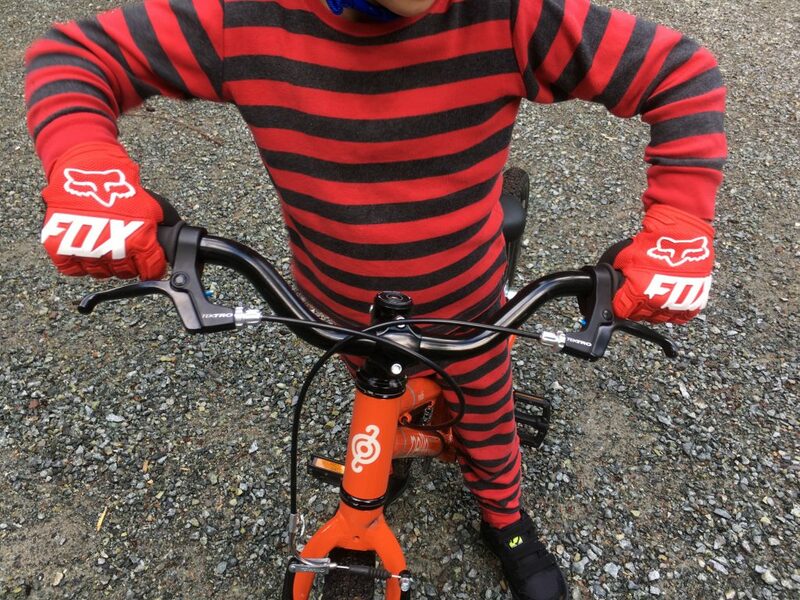 The Fox Dirtpaw gloves offer superior coverage for hard-charging or crash-prone kids. Even after lots of use and abuse, the durability of these gloves will allow them to last thru more than one riding season. They are not as breathable as other more minimalistic gloves, but for fall and spring season riding, the extra warmth will be appreciated. Finally, the “cool” factor and the fact that kids love these gloves, make them a worthwhile investment.